1. They modify certain non-essential NPCs in Morrowind to be werewolves. They aren't everywhere but not too far off the beaten path. There are a grand total of 16 new werewolf NPCs. 2. They allow you to become a werewolf outside of the Bloodmoon main quest, WITHOUT breaking it. 3. Once you beat the Bloodmoon main quest (were-betterer stops transformations for all but the middle of the bloodmoon main quest) you only have to transform into a werewolf at the full moon. 5. One of the Bloodmoon werewolf quests will give you a slightly better reward. IMPORTANT INFORMATION about Moon phases! 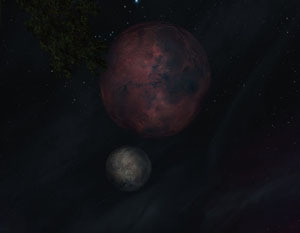 Remember that full moons in Morrowind are a bit annoying to deal with. The phase changes at midnight and it ONLY changes if you're in an exterior cell. If you happen to be in an interior cell at midnight then the moon phase won't change. Night runs from 9pm to 6am. Thus far the only way to tell the moon phase is to either watch the sky or type into the console: Getmasserphase or Getsecundaphase.